Some of the mala and beads available with us are shown below. You can contact us for other products also. Add Rs. 300 for delivery charges within India. Overseas client may contact for ascertaining payment amount and delivery charges for getting above mala. Every day I get an opportunity to meet and speak with lot of people and analyzing their horoscopes and chakras. In many cases, I have observed that their chakras are not in balance. Our body has many chakras and seven chakras are most common among them. I will deal with these chakras and process of cleaning those chakras in a separate article on this website and our facebook page also. In this article, I am dealing with Sphatik or Quartz Crystal mala which I think is a unique gift given to us by mother Earth. It is a good conductor of energy. Sphatik has a strong field of light and energy which can be used as a sonic protection against negative vibrations. This property is present in all the sizes and shapes of crystals. The movement of ions through the molecular structure of a Sphatik clears and neutralizes negative conditions in the aura of people of all ages. Sphatik can be used to cleanse and purify the atmosphere of even large areas - our homes and work places. It can become our own personal healer for the body. It also helps in enhancing our intuitive power and liberates an individual from all causes of fear or anger. If Sphatik/Quartz Crystal mala is energized by an expert having spiritual healing powers, it enhances the results. It gives the person wearing it a purpose in life, diminishes stress, supports healing abilities and also helps in centering own self. It has spiritual powers and gives peace and calms the stressed mind. It also has the capability to reduce body heat. Hence it is worn by people around the neck to keep their body temperatures regulated and minds cool. Sphatik removes excess heat from the body and can also reduce fever. It also helps relieve headaches and reduces stress and tension by promoting overall healing of the body. 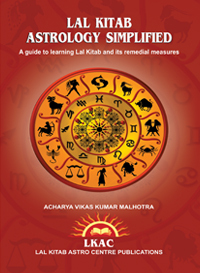 Astrologically it is related to planet Venus and used in worshipping Maa Lakshmi. The wearer gets blessings of Maa Lakshmi and is able to increase savings and wealth. Sphatik is regarded as stone of harmony and as it balances energies it is helpful in improving family life and romantic relationships. In many cases, sphatik is used to perform diagnostic healing as it amplifies healing energy. Mala give positive energies to chakras, body and soul. 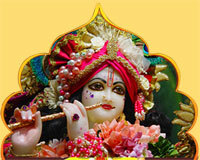 It is useful for ensuring harmony and good relationship between husband and wife. Differences between husband and wife and their relationship problems can be minimized. Both husband and wife should wear it and worship Maa Lakshmi through using this mala. It is helpful in removing anxiety, stress and relieves headaches also. This mala is also useful for treating diabetes as it improves efficiency of planet Venus in our horoscope.